This month Empowered Voices (EV) took important steps in their direction towards organic food production. 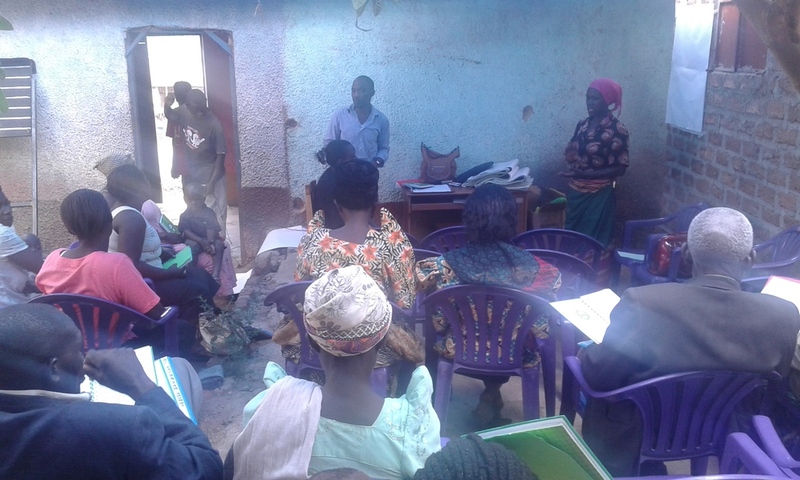 Through our local project manager, Julie Matovu, the members of Empowered Voices have been introduced to NOGAMU - the National Organic Agricultural Movement of Uganda (http://www.nogamu.org.ug/). NOGAMU is an umbrella organization which unites producers, processors, exporters, NGOs and other institutions and organizations that are involved in the promotion and development of the organic sector in Uganda. EV members that want to market and sell their produce through NOGAMU need to go through a certification process for organic production. This will give them the EAOPS status - the East African Organic Product Standard - which is based on international standards for organic food production and adopted by the East African Community in 2007. By achieving this status EV members can participate in the organic farmer's markets in Kampala, among other things, which aim at selling high quality products to a growing middle class in Uganda. We think this is a great opportunity for EV to tap into a market that has hugh potentials for expansion and is sustainable both for the men and women of EV growing the products and the environment in the Mubende region where EV is localized. More news on this in the near future but see also the next blog post about the organic farmer's market in Kampala! In the photos below you can see that the training involved the difference between conventional and organic farming, and which products NOGAMU wants EV to focus on.